I spent an enjoyable afternoon at the World Museum in Liverpool on 19th March 2011 in the company of Dr Ian Wallace and Steve Cross on a ‘Shell Training Course.’ The Liverpool Bay Marine Recording Partnership (LBMRP) has recently been set up to record some of the common species that can be found washed up on Liverpool Bay Beaches. A handy recording sheet has been produced with photographs of the variety of shells; crabs, shrimps & other crustacea; starfish,; urchins, jellyfish; eggs; fish and seaweeds that can be found. 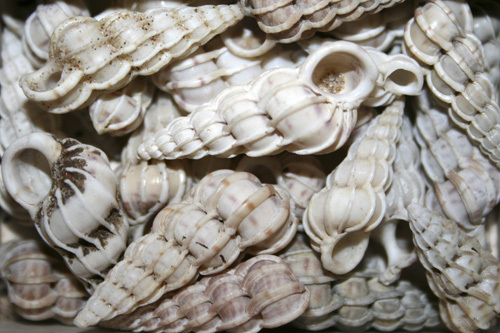 It focuses on species found on Liverpool Bay beaches so you are not bogged down with shells etc. that may only occur in say Cornwall. Dr Wallace jokingly referred to it as the Dead Sea Life Survey as those species washed up on our beaches will be decaying or dead. We had a brief introduction to the internal shell anatomy of bivalves, followed by the anatomy of gastropods and how to identify right and left spiralled shells. We then tested our skills using the recording sheet to identify a variety of shells and seashore debris from the museum collections. A field day is being held at Ainsdale Beach on 27th March 2011. Meet 11am at the western end of Shore Road where it joins the beach. Recording Forms can be obtained from LBMRP via Steve.cross@liverpoolmuseums.org.uk or write to Steve Cross, Clore Natural History Centre, World Museum, William Brown Street, Liverpool L3 8EN. Also return any completed forms to Steve who will enter the information onto a database. If you encounter something really interesting that is not featured on the recording form please send them a photo they’d be interested to know. We were invited to a quick behind-the-scenes tour of the aquarium. 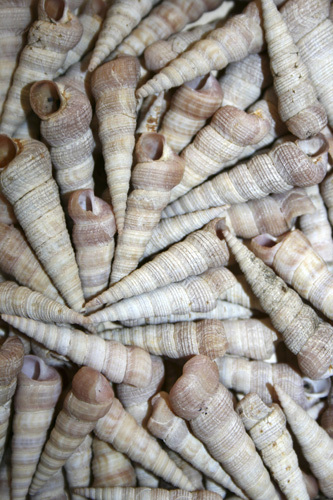 They had a few Common Whelks Buccinum undatum in one tank. 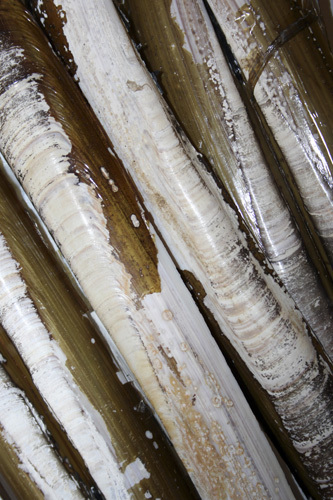 Whelks orientate by smell and when some food was dropped into the tank they all migrated towards it with their siphon tubes waving around as they tried to locate the source of the smell. We were also shown the re-circulation systems for the tropical and cold-water tanks in the aquarium including protein skimmers, UV sterilizers and sand filters. IAT International Aqua-tech in Anglesey (who my brother happens to work for) designed the system. Their projects have included some of the world’s greatest aquaria such as in the Burj-al-Arab in Dubai and Shanghai Ocean Aquarium. 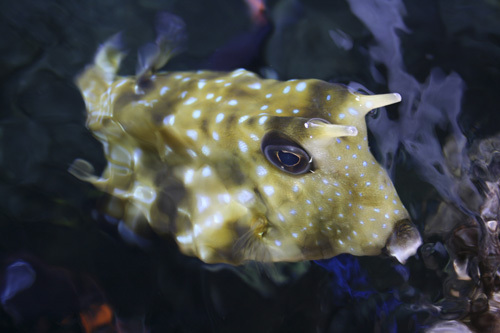 We took a peek into the top of the tropical tanks when a Long-horned Cowfish Lactoria cornuta decided to take a peek back at us. Certainly not a species we’re likely to see on our beaches! but I was lucky enough to see one in Madagascar a few years back that a group of fishermen had hauled up in their nets. They thankfully don’t eat them so they kindly placed it on the sand for me to take a quick snap before returning it to the sea.